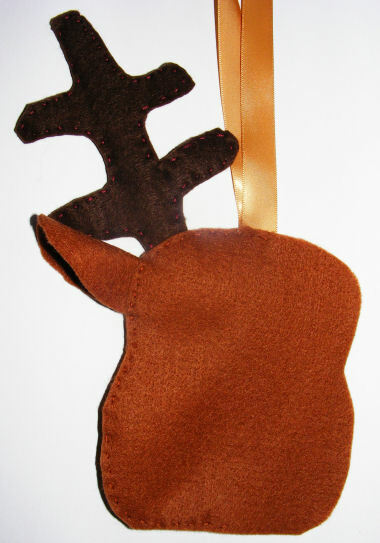 Cut 2 pairs of antlers from dark brown felt using our templates to help (although you may want to size them smaller). 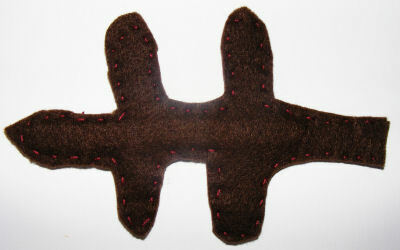 With a small running stitch sew the antlers together. Slip a lolly stick into each antler. Cut two light brown ovals for the ears. Fold in half and secure with a couple of stitches. 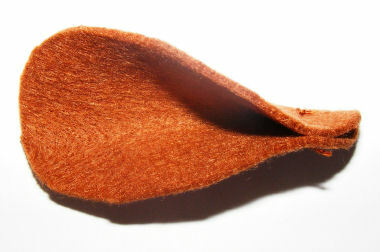 Cut two face shapes from light brown felt. 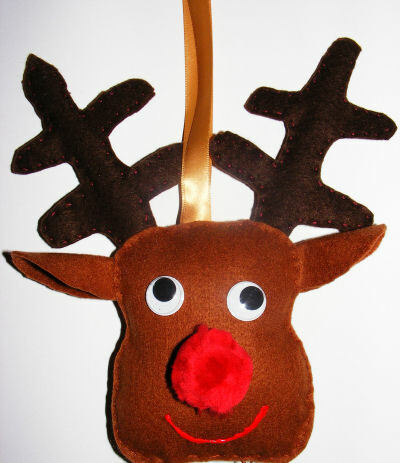 If you plan on hanging the reindeer, cut a length of ribbon and slip the ends between the two felt faces so the ribbon hangs from the top of the head. Slip the antlers and ears between the two faces too. Use our photograph to help. With a small running stitch sew the faces together, securing the ribbon, antlers and ears into place. Leave a gap with which to stuff the reindeer. Fill the reindeer with toy stuffing. Be careful not to overfill: it should sit fairly flattish. Glue on the eyes and pompom nose. 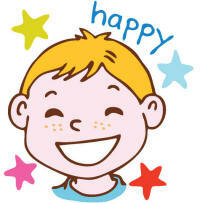 Finish by drawing on a mouth. This Christmas Pudding Beanbag is fun for kids to make and play with during the festive season! 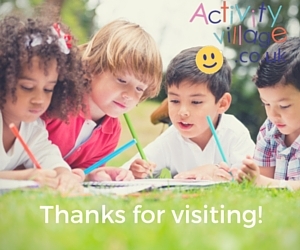 We've got lots of ideas for beanbag games here. These Christmas stocking decorations are fun for kids to make and decorate and pretty to hang on the tree. And of course you can slip a small present inside, too! Kids can make a Christmas window silhouette using our printable Christmas templates for a stunning Christmas window display. Wouldn't we all love to be able to look out the window to see Santa and his reindeers silhouetted against the moon like this?